Nanotechnology is the identification, application and use of novel behaviour that occurs at the nanoscale to solve real-world problems. The discipline requires a breadth of understanding that is much wider than just the equations and scientific principles that underlie that behaviour. This introductory course gives an overview of the current state of nanotechnology as well as introducing the implications of these new technologies for safety, regulation, and innovation. The course provides an overview of the societal and environmental implications of nanotechnology. Please send me an email about future The Wider Context of Nanotechnology courses. Nanotechnology has received much attention from scientists and journalists in the last few years raising hopes of revolutionary developments in a wide range of technologies on an increasingly small scale, dramatic improvements to standards of living, and solutions to a variety of environmental, medical and communications problems. These have gone hand-in-hand with fears that a new technology will disrupt the markets of existing business sectors and that machines are running out of control. The result has been a high degree of confusion at all levels of society as to the ethics, safety and business implications of this emerging series of technologies. The course addresses these issues and others in emphasising the interdisciplinary nature of nanotechnology. This is important because students who specialise in nanotechnology must be trained to appreciate a range of issues beyond the confines of pure science. Nanotechnology has applications in a broad range of fields and sectors of society. A student trained in electrical engineering, for example, who goes on to specialise in nanotechnology, may undertake a research project developing nanosensors that will be implanted in human subjects. He or she will therefore need to develop new skills to appreciate the broader ethical, societal and environmental implications of such research. The development of interdisciplinary skills involves not only learning methods of reasoning and critical thinking, but also gaining experience with the dynamics and development of effective multi-disciplinary function. Technologists must become comfortable addressing various issues as an integral part of doing advanced research in a team that might draw upon the expertise of not only engineers, but also biologists, doctors, lawyers and business people. As the project evolves knowledge of the place of nanotechnology in business becomes increasingly important. This course teaches an understanding of the basic workings of how nanotechnology innovation is exploited, together with an understanding of the dynamics of entrepreneurship. The Wider Context of Nanotechnology course begins in October and runs for seven weeks online. The course comprises two parts: a one-week induction period followed by six weeks of study, including a reading week. There will be live online tutorials, normally once each week. The online Induction week enables students to confidently maximise their online learning experience. We appreciate that students starting any new course may face some challenges, perhaps if you have not studied at postgraduate level before and/or are combining this part-time study with working full-time, and The Wider Context of Nanotechnology course has been designed with these considerations in mind. Our Induction module aims to help you to ease yourself into The Wider Context of Nanotechnology course by allowing you to familiarise yourself with the online environment and to introduce yourself to the other participants. The Induction also contains practical resources to provide guidance while you prepare for the units that follow and throughout your time on the course. These materials will be available for the duration of your study, so that you can dip into them on a ‘need to know’ basis. The course emphasises and addresses the interdisciplinary nature of nanotechnology. Students completing the course will gain a good in-depth understanding of the numerous issues facing nanotechnology today. Most students should expect to spend an average of between 10 and 15 hours per week on independent study in addition to the timetabled tutorials. 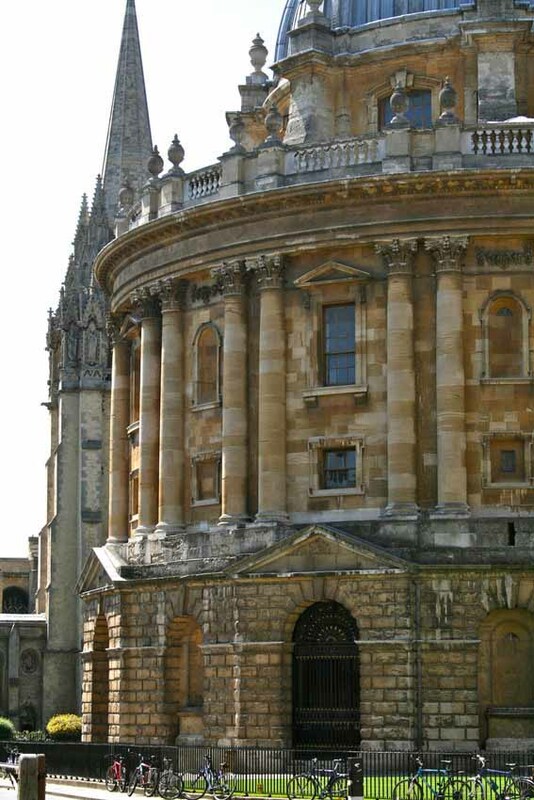 Access to the Bodleian Libraries e-Resources. The stand alone course fee will be released shortly. Dr Keith Simons, a chemist by training, is an independent innovation consultant who works as an interim manager in business development and fundraising for high-technology start-up organisations. He also works for regional, national and European governments in evaluation and monitoring of publicly-funded research. Keith is also the tutor for our first course to feature Adobe Connect Professional, the Postgraduate Certificate in Nanotechnology. He has previously been the Business Development Manager for the Crystal Faraday Partnership, a not-for-profit organisation, backed by the British government and responsible for advancing innovation in Green Chemical Technologies for the chemical and allied industries. Prior to Crystal Faraday, he worked for Avantium Technologies in Amsterdam, a start-up company that developed high throughput technologies for the chemicals and pharmaceutical industries. This built upon his experience as development chemist at Johnson Matthey in the UK where he developed accelerated techniques for catalyst development and process optimisation for pharmaceutical manufacture. Keith has degrees from the Universities of Hull and Liverpool. He has also performed postdoctoral research at the ETH, Zurich. Acquire a basic understanding in the societal implications of nanotechnologies. Assessment will be based on submission of two set written assignments, including a short essay and a written report, totalling not more than 2,500 words in length. The assignments are submitted online. Students wishing to complete The Wider Context of Nanotechnology course with academic credit will satisfactorily complete the coursework assessments. Attendance of a minimum of 70% of the live online tutorials is required. Students also need to actively participate in the online conversations via the course forums to the satisfaction of the course director. Students fulfilling these requirements are eligible to earn credit equivalent to 10 CATS points which may be counted towards a postgraduate qualification. This course requires you to complete the online application form which can be found by pressing the 'Apply' button on the top right of this screen, and submit it alongside a copy of your CV. If you are applying to take this course for academic credit you will also need to complete section two of the reference form and forward it to your referee for completion. Please note that if you are not applying to take the course for academic credit then you do not need to submit a reference.